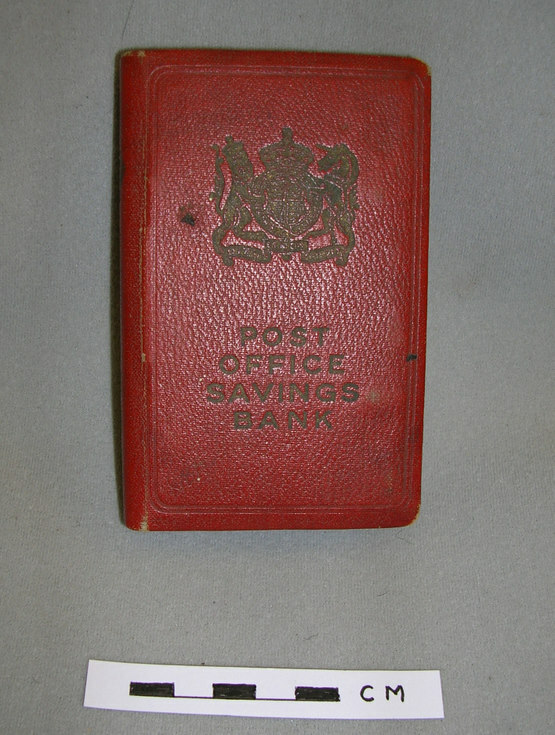 Metal post office savings bank in the shape of a small book, with a red cover. Coin slot and holes for notes in base, keyhole on long side. Initials and name of A D Mathieson, Inverness, scratched on the side. This was in the old Dornoch post office as an exhibit while it was used as a tourist and admin office by the Highlands of Scotland Tourist Board. I have one of these savings money boxes which I had as a child with money still in it. I own one of these in green it was dad's post office saving box been looking for years to found it got some lovely memories ~ Thank you for your comment. ~ Administrator.